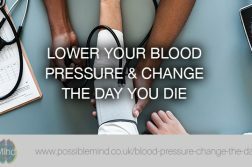 7 things you can do right now to lower your high blood pressure, and change the day you die! A really great post by David Schmidt on his blog Well Happy Peaceful got me thinking about recovery and how the mind and body deals with it. 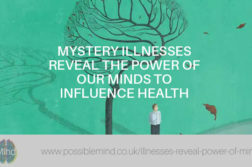 David discussed the difficulty of maintaining meditation during his groggy cold and how it took extra effort, however his rewards were well worth it as it has given him a different perspective on how he views illness and how we all suffer. It is just how we deal with it that makes the difference. I think that these observations have been beneficial to me in many ways. As I am sure this will not be the last time I am sick, and likely I will have even greater physical troubles as I get older. So this is just a lesson for me in mindfulness, acceptance and gratitude. One that keeps me on a path of liberation. The liberation from the weak mind that fights to control that which is simply the nature of this existence. If we prepare in times or health or take lessons from our cold and other minor ailments we can better deal with more serious conditions as we get older. David discusses that we must except that suffering as we get older is inevitable as too is death so we should not be afraid. Our sickness that we may have right now is temporary, as is this life we enjoy. 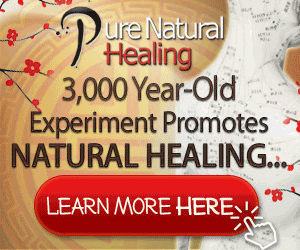 And having a physical body means that regardless of what we do, it is subject to disease and decay. Understanding these two, one can begin to see that there is no permanent self to be held on to. And the more we desire to control this or develop aversions to these realities, the more we increase our own unhappiness. Saying to yourself “I don’t want to be sick” or “I don’t want to get old”, will not change a thing. We are all going to be sick, get old and die. And if we understand that, we can just be happy for the present moment. Even if that moment is one filled with coughing, congestion and fever. Realizing that we all suffer and it will not last forever and accepting this makes alot of sense to me. We can then prepare how to slow the decay and to best deal with it using a variety of techniques and methods. With the knowledge and understanding of this will enable us to be stronger, less frightened and in a better place to deal any obstacles that can cause suffering, even when we arrive at the final point of life. By developing and understanding these, with the realization that nobody lives forever, everybody suffers, suffering is temporary and we can not take our body with us when we die empowers us to be grateful, accept life and what it deals. Paradoxically these very things help recovery and help us live longer with out trying to grasp on to life but be appreciating it in the knowledge it is what is. Keep up to date with amazing mind body techniques that demonstrate why and, most importantly, how you can manage pain and speed up recovery with your mind. 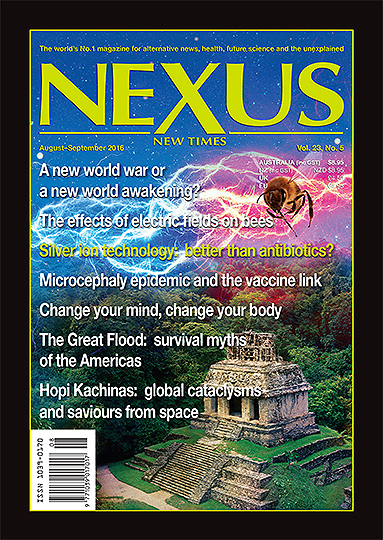 Download and read the article ‘Change Your Mind, Change Your Body’ written by Possible Mind in the World’s No.1 magazine for alternative news – Nexus New Times.